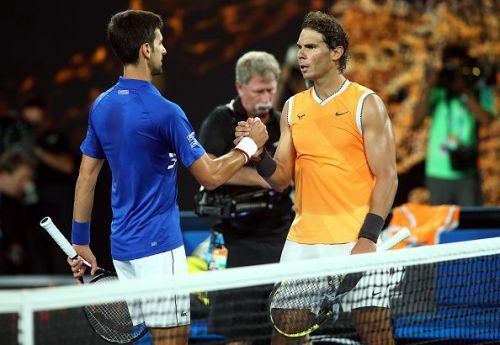 After his dominant display over Rafael Nadal in the Australian Open title, a question in every tennis fan’s mind is: Can he challenge Nadal at his impenetrable fort- the Roland-Garros, this time around? Djokovic is one of only three players who have beaten Nadal at the French Open, the other two being Robin Soderling and Marcel Granollers. But that was at the quarter-final stage in 2015 against a Nadal who had not yet fully recovered from an injury. He was not in the best physical shape during his other two losses as well. Defeating Nadal on clay, especially at the French Open, is without a doubt the most difficult task for any tennis player. Federer has lost a whopping four finals to Nadal. Besides the aforementioned win against Nadal, Djokovic has suffered six losses in the hands of Nadal there. There are have been occasions in the past when a dominant Djokovic was considered the favorite to lift the French Open trophy, only to succumb to the greatest clay court player ever. The situation is much the same this time around. Djokovic has won three Grand Slam titles in a row and is on the cusp of an unprecedented fourth, for the second time in his career. But then, there is many a slip between the cup and the lip. Djokovic is a terrific clay court player, as is Roger Federer. If their era had not coincided with Nadal’s, it is not difficult to imagine them winning multiple French Open titles. But then, the same thing could be said about Nadal too when it comes to the other three Grand Slams. The fact of the matter is that the three have pushed one another to greater heights and they have found ways to reinvent themselves, which explains their longevity and being in a league of their own even in their thirties. Both Djokovic and Nadal have remodeled their serves after their respective injuries in recent times, and have become even better. At this point, despite Nadal’s capitulation in the hands of Djokovic at Australian Open, he is still the favorite in Paris. However, if there is one player who can seriously challenge him at the French Open, it has to be Novak. Their respective performances during the clay court season leading up to the Roland Garros will give a further indication of their form. But at the moment, it is Rafael Nadal who is the clear favorite to win a record-extending twelfth French Open.